Custom Home Builder with over 20 years of quality craftsmanship and personalized service. Experienced in green building, Net Zero, and Passive House. Certified Green Building Professional (CGBP), EPA lead-safe certified firm, trained in Passive House, and adept at navigating through emerging green-building codes. We offer informed choices for a healthy, energy- and resource-efficient home. Our own award-winning custom cabinetry shop provides cabinetry and millwork when needed. The company owner is directly involved with all projects; that's one of the reasons why architects and designers select our company to build their own homes. K.C.Customs, Inc. is proud to bring over 25+ years of experience and quality to every project we under take. Although we have grown over the years, our mission has remained the same — to build quality homes that exceed the expectations of our clients. Our entire team stands by this mission, and by the timeless business principles of quality, efficiency and integrity in all that we do. 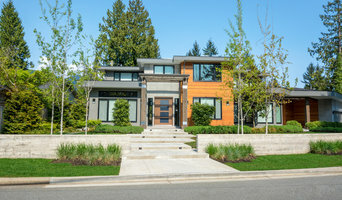 Our unique experience is what allows us to provide an unmatched level of operational and project excellence on all of our custom home projects, always embracing the values of accountability and reliability. We are different in how we align our interests with our clients every step of the way, working tirelessly to realize their vision and make the process straightforward and worry-free. Most importantly, at K.C.Customs, Inc. we view your project as a reflection upon ourselves and our business. We apply this approach to our work every day, taking great pride in our ability to deliver exceptional results and customer experiences. The final product is one that is built to stand the test of time and that will delight and impress family and visitors alike for generations to come. It is this process of creating exceptional and distinctive homes that inspires us every day. We invest ourselves deeply in the process of building the most important place on earth, Home. We take great pride and are very passionate in this undertaking. We look forward to showing you why for over 25 years families in Bay Area have chosen K.C.Customs, Inc. to build their legacies. Green Circle Construction is a California licensed General Contractor specializing in the highest quality remodeling and custom homes construction. We pride ourselves on providing our clients uncompromising quality of construction and materials; honesty in labor; and the utmost reliability in service before, during and after the project is completed. Our straight-forward approach and no-surprises attitude offers clients a confidence and assurance to get the job done on time and within budget. Our success is your success. Let us help your create your dream home. Fautt Homes is committed to building homes and renovations for the most discerning. Our intention is to not only meet the quality standards, but to exceed them. Whether it's a design build, remodel or addition, your project will be characterized by its exceptional attributes and functional design that is aesthetically superior. Our company goal is to build a quality product, on time, on budget and our clients have a great experience. Throughout the course of construction there is a high level of attention to detail. Our unrivaled proprietary building methods are apparent throughout the building process---and ultimately, the path to implement your vision to create your home. Jeff and Shelby have successfully been engaged in the building industry for the nearly thirty-five years. MJK Homes, Inc. is a builder of custom residential homes in the San Francisco Bay Area. Our focus and primary area of expertise is in the field of new construction and large scale remodels along the Peninsula from Los Gatos to Woodside. Our homes are distinguished by their meticulous attention to detail and by the enduring qualities of craftsmanship that each one possesses. MJK Homes, Inc. was developed from the foundation of generations of solid values and an unwavering work ethic. Matt Komo, a third generation builder, founded the company on the principals of honesty, dedication, and a commitment to hard work that he had learned from his father and grandfather before him. These values created the base from which all other elements of the construction process were formed for MJK Homes, Inc.
Markay Johnson Construction is a General Contractor with over 30 year's experience in commercial, retail, and custom high-end residential construction. At Markay Johnson Construction, the goal is to provide custom homes that reflect the owner's personality and lifestyle, which will stand the test of time. For over 30 years, Markay Johnson and his team of precision craftsmen have built some of the country’s finest residences and commercial buildings. Client acknowledgements give inspiring reasons to use Markay’s services. Contact us directly for more information on our services. We are licensed to build in California, Utah and Florida. Conrado - Home Builders specializes in the construction and upgrading of luxury, custom homes on the Peninsula and surrounding areas. We dedicate our efforts to ground-up building of new homes and moderate-to-large sized renovations. Using our Pre-Construction services, our clients are able to know before they start construction what their projects will really cost. Operating transparently, we build peoples visions. Our HomeCare Division handles home service and maintenance of homes we have built, as well as estates that need our help. After more than twenty- five years in business, we are proud to have successfully built, managed and delivered to our great clients one-of-a-kind complex estate residences. Charming Style with a Systematic Approach Tracery Professional Builders, Inc., specializes in full-service residential remodeling and custom home building. Our experience and technical expertise set the bar for consistent workmanship and attention to details, while our personalized approach ensures the highest level of professionalism and flexibility. The Owner and President, Mark Macdonald, holds three degrees in the building and construction field: a Master of Science in Construction Management, a Bachelor of Science in Structural Engineering, and an A.S. Degree in Architecture. This unique background ensures all aspects of the building process are carefully evaluated and the project scope, budget, and schedule remain in balance. We pride ourselves on making home renovation as stress-free as possible for you and your family. Tracery Builders has a reputation for providing long-term durability and value, and we are flattered that so many homeowners have recommended us to their friends and family. Living up to the faith our clients place in us - by putting their reputations on the line and promoting our services - is a responsibility we take very seriously: our clients' satisfaction is at the heart of our business success. Tracery Builders limits the number of projects we take on to guarantee the personalized care and high quality our clients deserve. We favor a hands-on management style and work closely with clients to make the construction process gratifying and the desired outcome achievable. Great custom homes and remodels should focus on your specific needs and provide you with a home that reflects your tastes, fits your lifestyle, and respects your budget. Let us help you make your house a home to cherish. Award Winning South Bay Design-Build Firm Best of Houzz 2013-2017! Singlepoint Design Build is a full service general contractor that specializes in the design build delivery method. Our team of skilled craftsmen self-performs the majority of the work on our projects. It is important to have these individuals under our direct employment for control of quality and schedule. Our founder, Brant Hill studied at Cal Poly San Luis Obispo and earned a BS in Construction Management. After college he worked for a large commercial general contractor as a project manager for 6 years and was involved with building over $100,000,000 in construction projects. During his time spent as a project manager he learned the skills to estimate complex projects, develop and manage a schedule, navigate City and County red tape, and deliver quality products. All of these skills and principles are now utilized in the residential market through Singlepoint Design Build Inc. Every project no matter how big or small is planned, budgeted, and scheduled before a shovel hits the ground. Ray Construction & Development Corp is a fully licensed and bonded California contractor. We have been in business since 1972, starting in the custom home industry. Over the past 10 years we have expanded our services to include remodeling and additions. We are a boutique firm that focuses on the client experience and having your voice heard and integrated into the design of your home. We focus on details to make your house custom. Dan Ray, the owner of Ray Construction does the finish work on projects including crown molding and detail work. We will also work with local sources to complete the project. Our design process starts by visiting showrooms with our clients to pick out finishes and see products in person. We then work with you on the design, construction and completion of the job. We have deep ties to our local community and use local contractors and vendors to complete our jobs. We look forward to hearing about your project and helping you with this process from start to finish! "Best of Houzz 2015-2019!" Award winning custom home builders and remodelers specializing in design innovation and value solutions. "They provided us with impeccable master craftsmanship, superior communication and professional project management. We absolutely love the new home they created for us." Costa Bella Builders has been a family owned and operated home builder serving the wider Monterey Bay area since the 1980’s. We are a professional group dedicated to serving the Santa Cruz and Silicon Valley communities. Our expert design and build team exceeds expectations throughout the process and demonstrates that home building and remodeling can be graciously achieved. At Costa Bella Builders, we set the standard for cost effective home building projects completed on time. We coordinate the efforts of our skilled staff to construct the home you’ve always dreamed of; providing innovative design ideas, building value and delivering superior craftsmanship. Our achievements include: Best of Houzz 2015-2019, top rated local building contractor 2012 & 2013, winner of the 'Be the Difference' award for 2012 from the Volunteer Center of Santa Cruz County, Green Building Certification and EPA Lead Safe Certification. Baron Construction & Remodeling Co.
Mueller Nicholls is a well-established construction company, and also operates a large, solar-powered cabinet shop. Our central location in Oakland gives us the ability to manage building projects all over the Bay Area, including the East Bay, San Francisco, Marin County, the Peninsula, and Contra Costa County. For Palo Alto residential home builders who also act as developers, the job starts well before the first nail is driven. They perform local market research to determine whether the prospective homesites make sense in the Palo Alto, CA market, as well as survey the land on which the house will be built to make sure it is suitable for construction. Custom builders also obtain the necessary permits. A good custom home builder in Palo Alto, CA has skills that go far beyond construction — he or she must supervise subcontractors and artisans; keep tabs on local zoning regulations, building codes and other legalities; inspect work for problems along the way; and perform dozens of other roles that are essential in building a quality house. Here are some related professionals and vendors to complement the work of home builders: Interior Designers & Decorators, Landscape Architects & Landscape Designers, Architects & Building Designers, Kitchen & Bath Designers, Specialty Contractors. House builders are responsible for ensuring that the home-building project sticks as closely as possible to the specified timetable, particularly in the event of change orders. Custom and luxury home builders in Palo Alto, CA also need interpersonal skills to deal with clients of all types, soothe frazzled nerves, negotiate conflicts and resolve problems. 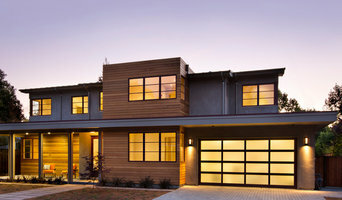 Find custom home builders in Palo Alto, CA on Houzz. Narrow your search in the Professionals section of the website to Palo Alto, CA home builders. You can also look through Palo Alto, CA photos to find a house you like, then contact the builder who worked on it.